يقع في Vatukarasa, Tambua Sands Beach Resort إنه المكان الأنسب لاكتشاف كورال كوست و ما يحيطها. يقع مركز المدينة على بعد 25km فقط. ويمكن الوصول إلى المطار خلال 90 دقيقة. سوف يعشق النزلاء موقع هذا الفندق، فهو قريب من أهم المعالم السياحية في المدينة كمثل Kula Eco Park . كما يقدم Tambua Sands Beach Resort الكثير من الخدمات لإغناء رحلتك في كورال كوست. يمكن للنزلاء الاستمتاع بالميزات التالية: أمن على مدار 24 ساعة, خدمة التنظيف يوميًا, متجر هدايا/تذكارات, خدمة سيارات الأجرة, مكتب الاستقبال على مدار الساعة أثناء إقامتهم في هذا المكان الرائع. بالإضافة لهذا,تتضمن كل غرف الضيوف مجموعة واسعة من وسائل الراحة . بعض الغرف توفر حتى بياضات, مسبح خاص, غرف لغير المدخنين, مكيف هواء, خدمة الإيقاظ لإرضاء أكثر الضيوف تطلباً. يمكنك طلب اللائحة الكاملة للخدمات في الفندق ومن بينها السهام المريشة, مسارات المشي, الغوص السطحي, شاطئ خاص, حمام ينبوع ساخن. مهما كانت أسبابك لزيارة كورال كوست، فإن Tambua Sands Beach Resort هو الخيار الأفضل لإقامة مثيرة وممتعة. This was about our 7th stay at Tambua Sands and it was another fantastic stay. The staff here are so welcoming and go out of their way to help you. This trip was to celebrate my husband's birthday, so our adult son and daughter travelled with us. We had adjoining rooms which made things so much easier, and gave us heaps of room too. The snorkelling here is amazing, and the pool is never over run with people, it's such a relaxing resort. As we always hire a car, we don't eat on site every day or night, but the meals we did have were great....really large portions, fresh and definitely value for money. 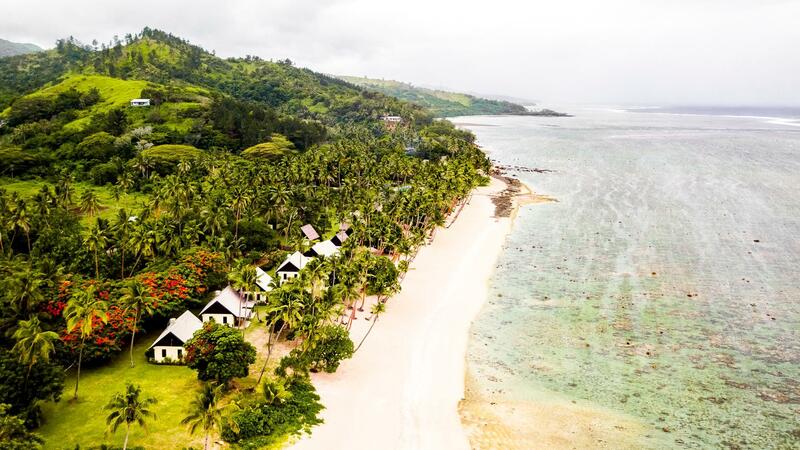 I can't speak highly enough about this resort....we've stayed at a few in our years travelling to FIJI, and this is definitely one of our favourites. Love this place. Great value for money and the staff are amazing. This is not a 5 star resort...but it is great value. Comfortable beds, clean, good facilities & great location. Staff go out of their way to help. This was our 7th stay. Won't be our last. We enjoyed our stay at Tambua Sands. The room was basic but clean and in a great location. There were a lot of things we could do at the resort as well as in the surrounding area. The food and drinks were reasonably priced and the breakfast was basic but satisfactory. No wifi or tv in rooms - in bar area only which was great for device free time! Rooms on roadside noisey from traffic during early mornings - seaside definitely quieter. Overall though enjoyed it and would visit again. This was excellent stay. We were luckily upgraded from a garden bure to a ocean beach cottage (however garden bure not much further away from beach) probably as we were there from a mid week day for 9 days - most people seem to stay 5-7 days. The resort is the good value for money (as one of the most reasonably priced in Fiji). We could snorkel directly in front of our cottage out to the reef with great coral and fish. It has good double bed, fridge (great) and bathroom with shower which Ok but poor pressure (but normal for Fiji). Good being on the main road to catch local buses (F$2.20 each) to Sigatoka town (tours) for optional meals and supplies. The live music from a great band and extra activities were good. (Kava, frog race, shell snail race etc). Would recommend this to anyone. We meet couples who had gone to off shore islands for a stay and after finding their meals etc and prices a rip off came back to Tambua Sands. Great little hotel but make sure you get an ocean view Bure. We had a garden view orginally but we asked to upgrade after 1 day because the garden Bure we had was dark, dated and very close to the road it wasn’t really what we imagined! However the staff are super friendly Tui and Sunny especially and they run some good little activities for you to learn more about Fiji and it’s history and culture. There is only one restaurant at the hotel, the food is ok but nothing outstanding if you want to eat anywhere else you’ll need to pay for a taxi to another resort or into the local town. Great little place to sit back and relax for a few days! Bula & Greetings from Fiji. Thanking you very much for your honest feedback and looking forward to see you again. Island Regards. There is no tv or air con in the rooms which makes it a true retreat l. Comfortable beds, clean room and bathroom. Ocean views and breeze makes it cool along with the ceiling fan. Staff can not be more helpful and there is security. It is very quiet and just what you need to relax your mind. Food is a little expensive but nothing you wouldn’t pay at a restaurant... most importantly is tasty and does not disappoint. Would definitely go here again. Greetings from Tambua Sands, Thanking you very much for your honest feedback and looking forward to see you again. Island Regards. Was a great place to stay. Staff friendliness was the best. They want you to have a pleasant stay. Rooms and stay are fine. Resort is rustic in appearance and right on the ocean. Beach is nice but quite a bit of chorale present so you need rubber feet socks. Had a good stay. We spent four days at Tambua Sands with our three children and loved every moment. The atmosphere is relaxed and plenty of activities for the children to enjoy. As it is a smaller resort there's not a whole lot of people there at the same time and it has a feeling of safety and being laid back. The food was great quality and portion sizes, especially in the children's menu.The staff are lovely and very genuine, we loved the fact that Lori and Tui learned the children's names and were lot's of fun. 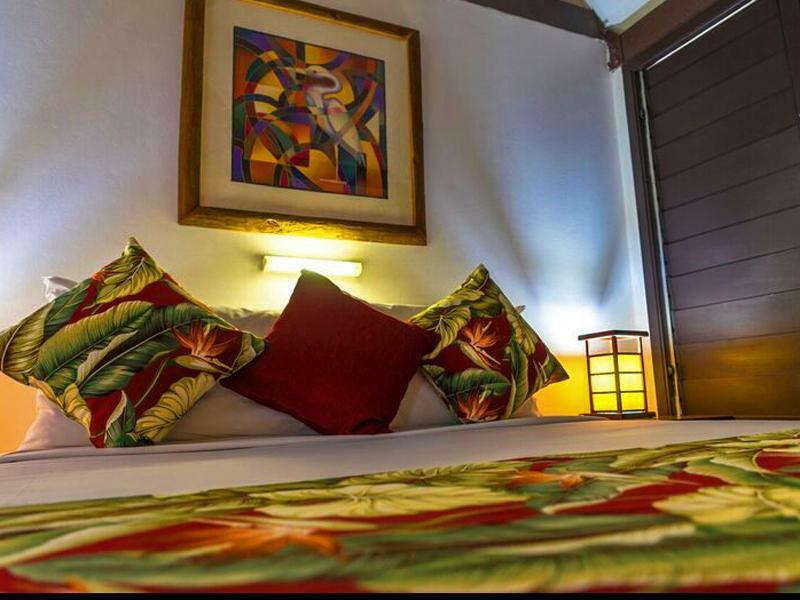 As a three star resort there is no TV or air con in the rooms, but when you are in such an amazing setting, with rooms designed to breathe and allow airflow, this is an actually an advantage as you're not distracted and you also stay acclimatised. There were opportunities to see and experience some Fijian cultural displays. Our opinion is that this is simply the best resort in its star rating and you would be hard pressed to find better. It is highly recommended. I must first congratulate and thank the resort manager JULLIE in managing this awesome resort,and for making our stay a memorable,peaceful and relaxing holiday. We had the best holiday in Tambua Sands,Perfect location and value for money.Can't get enough of this place!Hope to see this resort and all the friendly staff again soon! Tambua Sands was a lovely surprise after the uninspiring drive from Nadi. Good points:- great meals at good prices, excellent included breakfast, bures, comfy beds, setting, views, entertainment for children, great pool. A paddling pool for tots would be good, also some entertainment in the evening, as the bar didnt offer anything to encourage adults to gather. Families with children had no choice but sit in the bure with nothing to fill their evening. On the whole, a lovely spot. Pros: right on the beach, great location for day trips, low cost accommodation, clean, big pool, restaurant food is average price and quality, snorkelling in the lagoon is good at high tide. Cons: villas are a bit old & tired, no shallow end in pool for young kids, staff a little distant, beds were hard, no beach swimming at low tide. We found this place great for the budget. It may be a little older and needing some TLC, but the rooms were clean and well serviced every day. We had 2 adults & 2 kids in one bure/villa and it was fine for us. Not much room inside, but there is a bar, a large lounge/TV area, a pool table area and restaurant, plus beach and pool so no need to feel stuck in the villas. There were some nice new looking villas with their own plunge pools in front, but they only let couples in them. It's a lovely beach and so much nicer than a hotel, yet priced similarly. Good location with lots to do in the area. Not 5 star but good value. Waking up every morning looking out at the ocean past the coconut palms was heavenly. The beachside bures were so close to the beachside and it really felt like a true get-away, especially as there was no television or air-conditioning in the rooms: instead high ceiling with fan and cool enough to stay in during the day. Bure was large and comfortable with separate bathroom. Daily room service and staff would arrange bedlinen and leave fresh flowers. Continental breakfast was a real bonus. The staff were so welcoming and friendly and the atmosphere was so different from large impersonal resorts where you are just another tourist. Wayne, the manager, tried so hard to ensure guests were happy and would speak to each guest on a daily basis. The free activities were something to look forward to, especially the daily walks where we learned so much about Fijian history and life from our dedicated and passionate guides. A daily newsletter with activities and general information was delivered to each bure daily. The snorkelling was good once you learned you could only go at high tides early morning and evenings. An absolute must is to book through Skelly's (at reception) to go snorkelling at the Marine Reserve nearby. It was so beautiful; like being in an aquarium with a abundance of so many different, colourful fish. My husband and I stayed a week and it went by so quickly. Thank you Tambua Sands and all your beautiful staff for the beautiful stay and making us feel so welcome. Bures (ocean facing cottages) are clean and comfy. They do not have AC, TVs, telephones, or wifi. There is a frig and ceiling fan. The grounds, pool, bar and lounge are pleasant and comfy. The staff is competent and very friendly. There is ping pong, billiards, kayaks and snorkeling gear. With only 26 bures, the resort is private and intimate. There isn't any stores or restaurants within walking distance. It is about a 1.5 hour drive from Nadi International Airport.